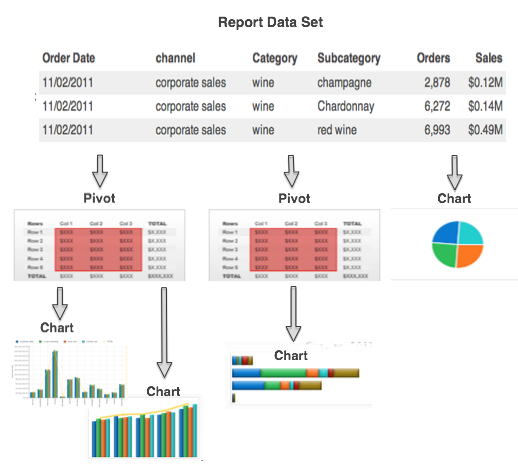 A Report is an Element that you can use to visualize any arbitrary data set. Unlike a Metric, a report is not limited to displaying information over time. Define a Pivot Table when you want to display and/or visualize selected Result Set columns if you need to sort, count, or sum one column and show the results using a cross-tabular display. The resulting Pivot Table can be shown in the report as well as used as the basis for an associated Chart. The example below shows a typical Pivot Table used to create a cross-tab in which a measure in the Result Set is aggregated across a set of columns. How do I Edit the Pivots and Charts in a Report? 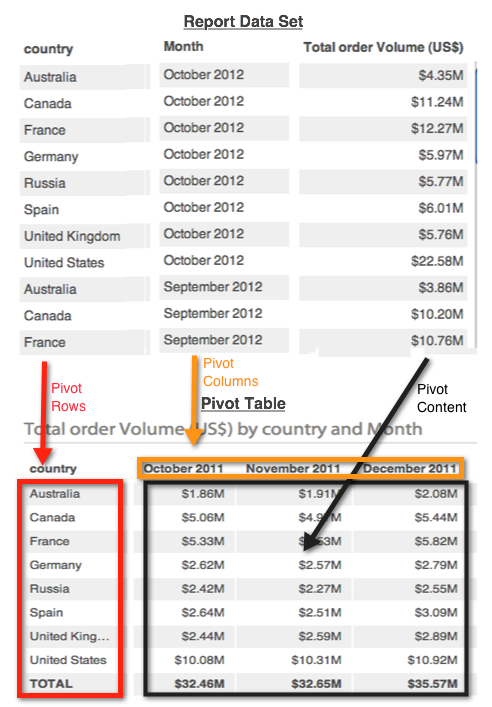 Zoom: How do I Edit the Pivots and Charts in a Report? 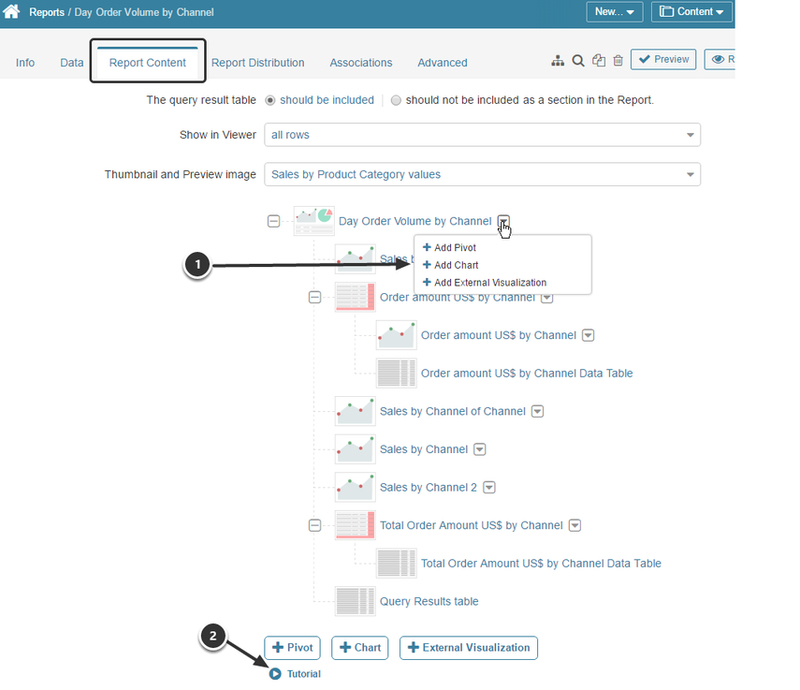 Pivots, Charts and External Visualizations each have their own editors that are accessible from the Report Content tab. A tutorial is also provided explaining Dynamic Pivots.